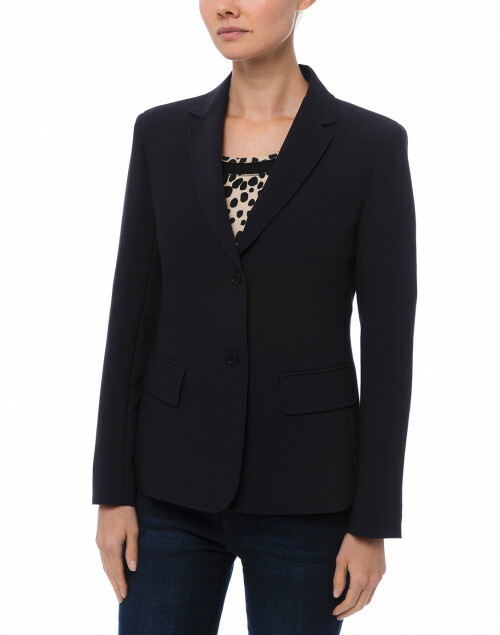 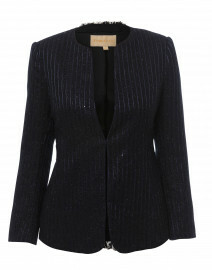 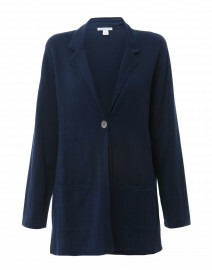 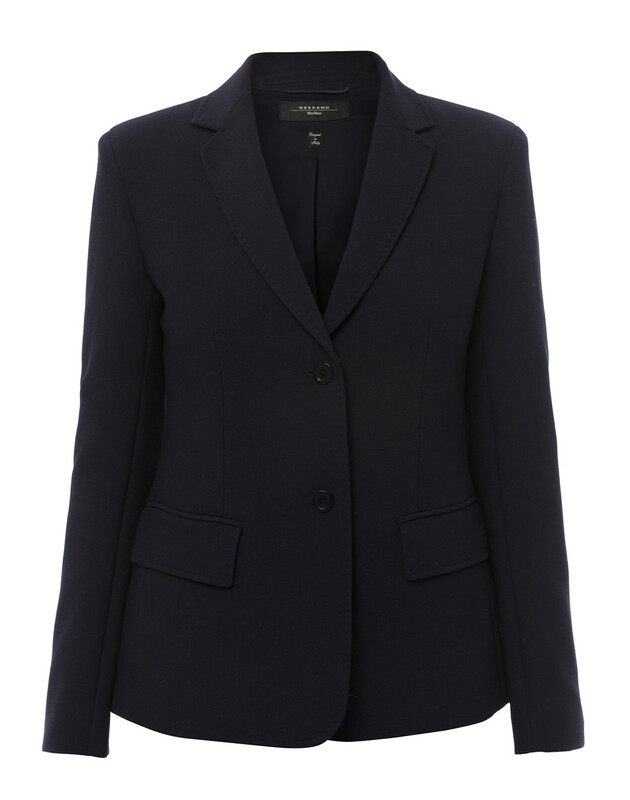 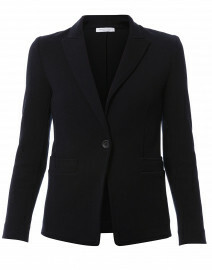 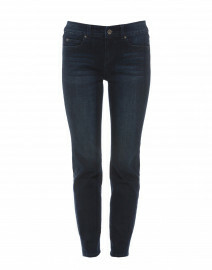 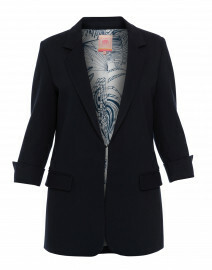 Contemporary smart style is easily mastered with Weekend Max Mara's navy Dida blazer. 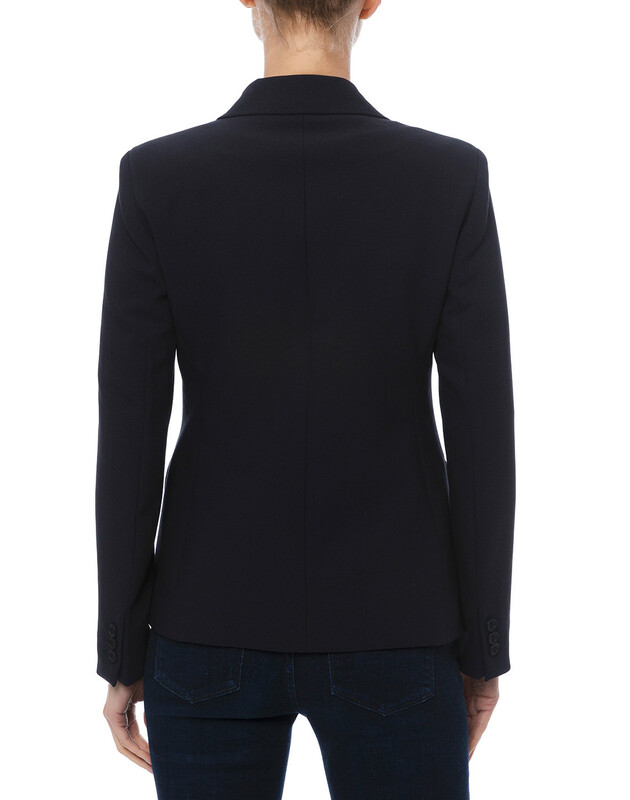 It's tailored from stretch cady fabric to a slim, single-breasted shape that's finished with a notch lapels and flap pockets. 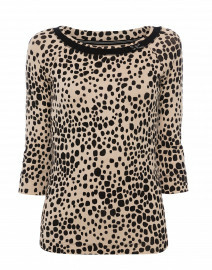 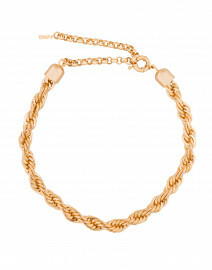 Wear it with dark jeans and a leopard top for a polished ensemble. 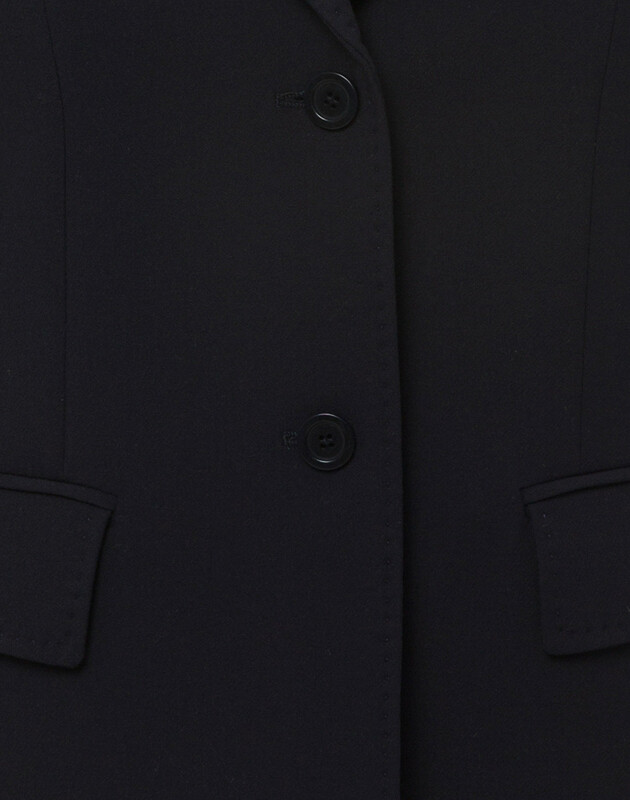 Length 26" 26.5" 27" 27.5" 27.5" 28.5" 28.5"
Shoulder Width 13.5" 14" 14.5" 14.5" 15" 15" 16"
Bust 28" 29" 30" 30" 30" 31" 34"
Waist 26" 26.5" 28" 30" 30" 31" 34"
Hip 33" 34" 35" 36" 38" 38" 38"
Sleeve Length 23" 23" 23.5" 23.5" 24.5" 24.5" 25"